Age: 11 at the time of disappearance. He would be 23 today. Cody Haynes lived with his father, Richard Lee Haynes Sr., his four sisters and Richard’s girlfriend in Kittitias, Washington. On September 11th (the day before Cody disappeared), Cody allegedly refused to wash dishes and was punished by his father’s girlfriend, Marla Jaye Harding. Cody was forced to sit at the dining room table for four hours. He was eventually told to go to his room at around midnight. Cody’s father, Richard, came home from work after Cody was sent to his room. Richard did not return home until 4 p.m. the next day. 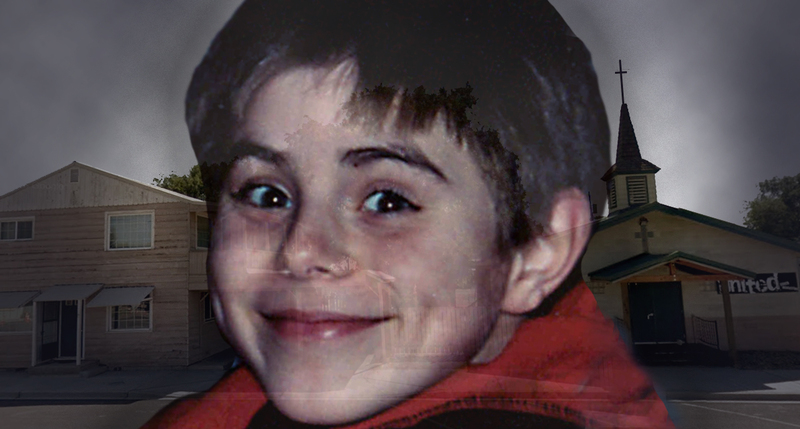 Cody allegedly disappeared from the home sometime between 4 and 5 p.m. on September 12, 2004. He either slipped out of the home unnoticed or he was removed from the home. 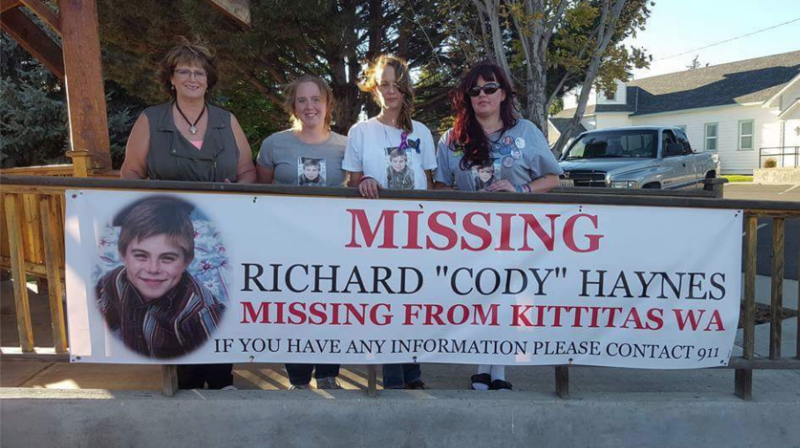 Richard notified the police at 6:36 p.m.
A week after Cody’s disappearance, his sisters were placed in foster care. The removal order alleged abuse, neglect and lack of supervision in the home. Richard and Marla hired lawyers and refuse to cooperate with investigators about Cody’s disappearance. They also would not let Cody’s sisters be questioned by police. Cody’s older sister eventually told police that Cody had been severely beaten in the home the day he went missing. The kitchen floor in the apartment was replaced after Cody’s disappearance and without the landlord’s permission or knowledge. Richard’s claim that he was looking for car parts in the early morning hours is odd since there were no scrap yards open. Kittitias, Washington is a small town with less than 1,500 people. 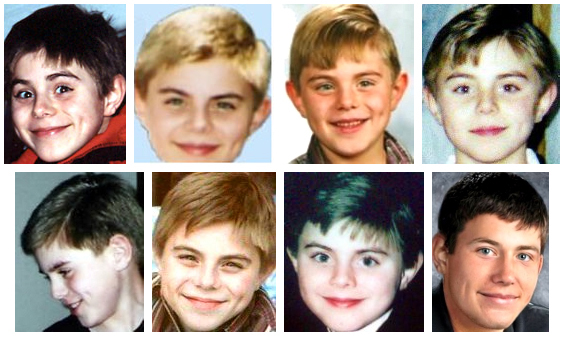 Marla Jaye Harding, Richard’s girlfriend, stated that Cody was a rebellious, deceitful child that needed discipline. Marla and Richard married soon after Cody’s disappearance so they wouldn’t have to testify against each other in court. They are apparently no longer together. Although Cody’s father Richard and Richard’s ex Marla Jaye Harding are not cooperating with investigators, Cody’s other family have not given up the fight for justice. For more information, updates and ways to help, please follow the Facebook page Justice for Cody Haynes. Photo from Justice for Cody Hayne’s Facebook page. If you have any information in the disappearance of Cody Haynes please call Kittitas Police Department (509) 968-0222, Kitcom (509) 925-8534 or the anonymous tip lines at (530) 378-4491 or (509) 593-0540. There is a $5,000 reward offered by the City of Kittitas.